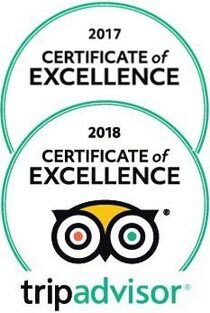 The Serengeti is located in the north of the country and shares its northern boundary with the Kenyan Masai Mara Game Reserve and its southern boundary with the Ngorongoro Conservation Area. 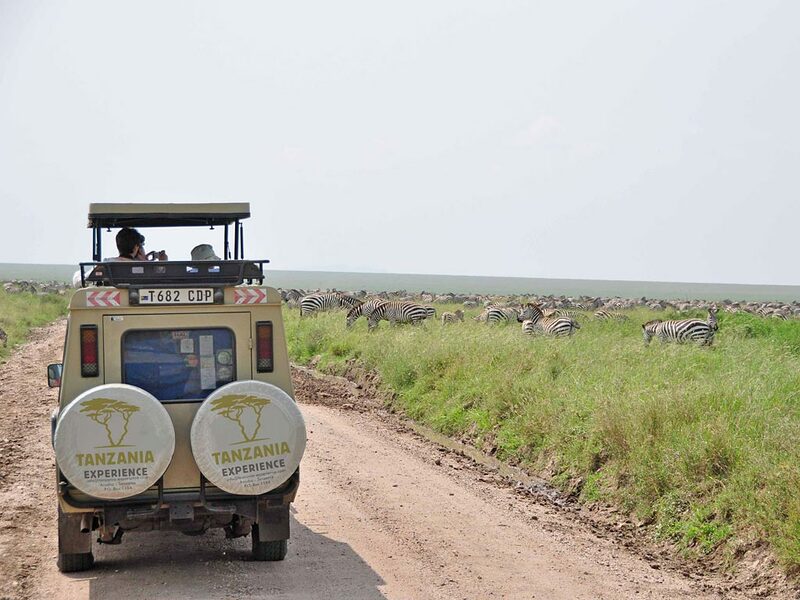 The Serengeti is a must see for anyone wanting to go on safari as the park is together with the Maasai Mara in Kenya the only conservation area in Africa where you can see the annual migration of hundred thousand zebras and over a million gnus. In addition to being home to over three million animals, the park also boasts with different landscapes. 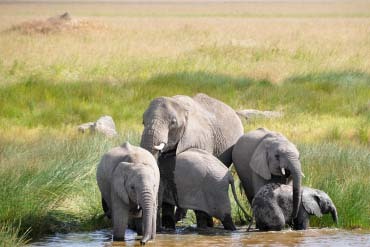 Whilst on a game drive in the popular southern plains you will be overwhelmed by the never ending flat seas of grass. Trees in this region mostly only appear around the huge granite formations called kopjes. These kopjes are home to the athletic yet lazy rock hyraxes as well as to a mix of reptiles such as colorful agama lizards and snakes. Besides that, the rocks are also the perfect resting place for lions, leopards and cheetahs. Cats seem to prefer the kopjes as they serve as a good vantage point for potential prey but also offer much needed shade during the scorching heat of the African sun and provide shelter for their young. All of the kopjes are named and the most commonly-known ones are Simba, Gol, Research and Moru kopjes. The Seronera Valley is the heart of the park and here the vegetation changes do acacia dotted plains, where lions and leopards are often spotted. The banks of the Seronera River are lined with lush palm trees, sausage trees and towering yellow fever acacias. The area around the river is abuzz with different bird species and large flocks of black headed herons, marabou storks and various birds of prey. The Retima Hippo Pool can also be found in the Seronera region and it is here where you can get a good look at these gentle giants in their natural habitat. Further towards the Western Corridor, the vegetation changes again and the area predominantly consists of swampy, wooded savannah land, famous for the black cotton soil which is impassible in the rainy season. The two large rivers in this area, the Grumeti and the Mbalageti River both flow into Lake Victoria in the west. The Grumeti River is famous for its huge crocodiles who enjoy basking in the sun during the day while the riverine forest around this area is home to the rare patas monkeys. The northern part of the park is mainly made up of open woodlands, riverine forests and mountains. It is here in the north where the majestic Mara River flows and it is this river in particular that all the migrating animals fear crossing as crocs with a size of up to 5 m lurk below the surface. 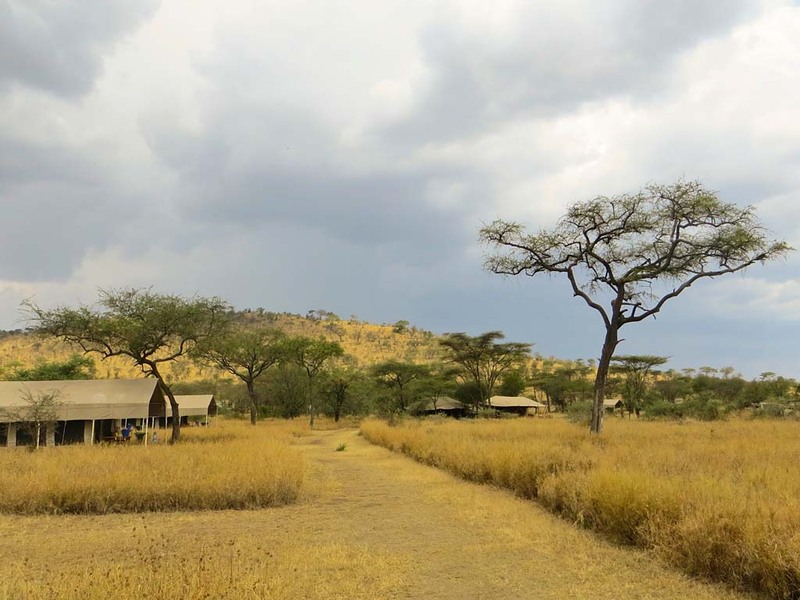 The northern part of the Serengeti is a lot less frequented by visitors, making it a great place for an intimate safari experience. 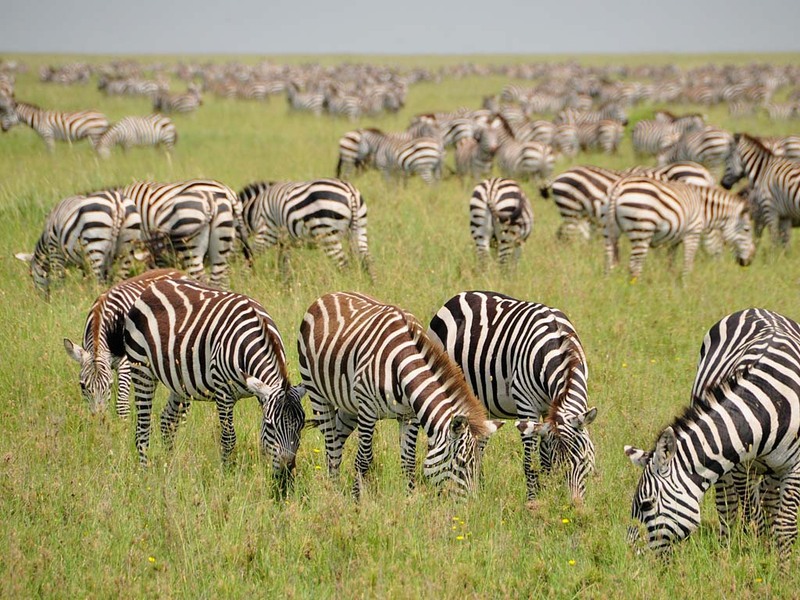 The Serengeti is home to one of nature’s greatest and largest animal migrations. More than 1.5 million white bearded wildebeest and 250,000 zebras take part in the 1000 km journey in search of greener pastures. During their trek towards the rich grazing grounds they must overcome the most dangerous obstacle on the journey, the Mara River, famous for its huge prehistoric reptiles, the crocodiles. 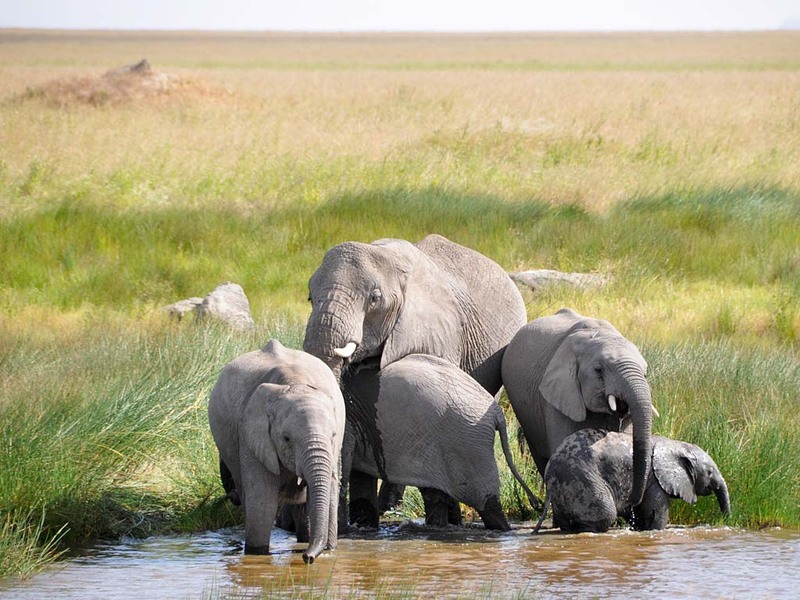 Apart from the annual migration the Serengeti is also home to the “big five” – lion, elephant, buffalo, rhino and leopard and it is claimed that the Serengeti has the highest population of lions anywhere in Africa. Leopards are frequently spotted relaxing while large herds of elephants and buffaloes graze on the savannah. Although the park is also home to very few black rhinos, they are rarely ever seen as they tend to hide in the more bushy areas of the park. 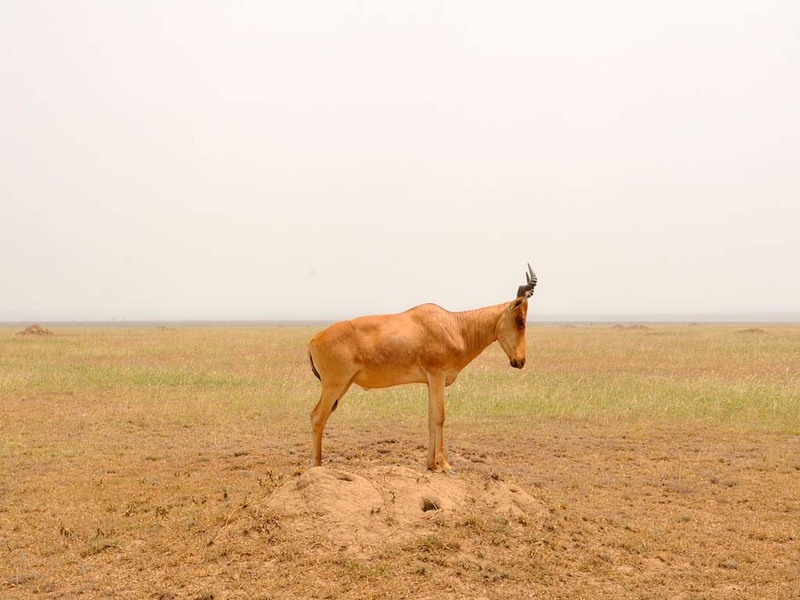 But it is not only mammals that reside here and over 500 species of birds including ostriches, secretary birds, different types of vultures and eagles, Egyptian geese, black headed herons, crowned cranes, Kori bustards and many more can also be found in the Serengeti National Park.